You want to A/B test your Messenger sequences… but you don’t recreate all the images, messages, CTR buttons because that would be a total waste of time. This article will show you how to duplicate ANY sequence in less than a minute so you can, you know, get back to your actual work. Alright, let’s dive right into it. We will be using Manychat.com for this demo. 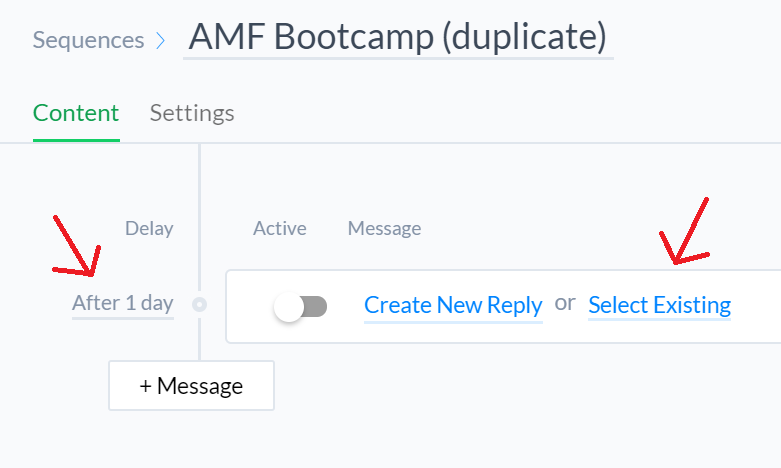 While ManyChat doesn’t allow you to duplicate a sequence with a click of a button as of right now, it does allow you to reuse messages. This way, we can manually duplicate the sequence. First create a new sequence, and then remove all the template messages so you start from sketch. Now let’s start from your first message, here are two things you need to do. First, you want to adjust the delay to match exactly what’s in your original sequence. You will see all the previous messages you created before. 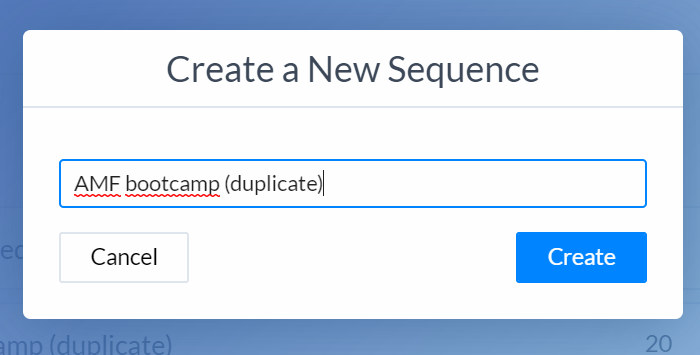 Next, click on “Sequences” and go into the sequence that you want to duplicate. 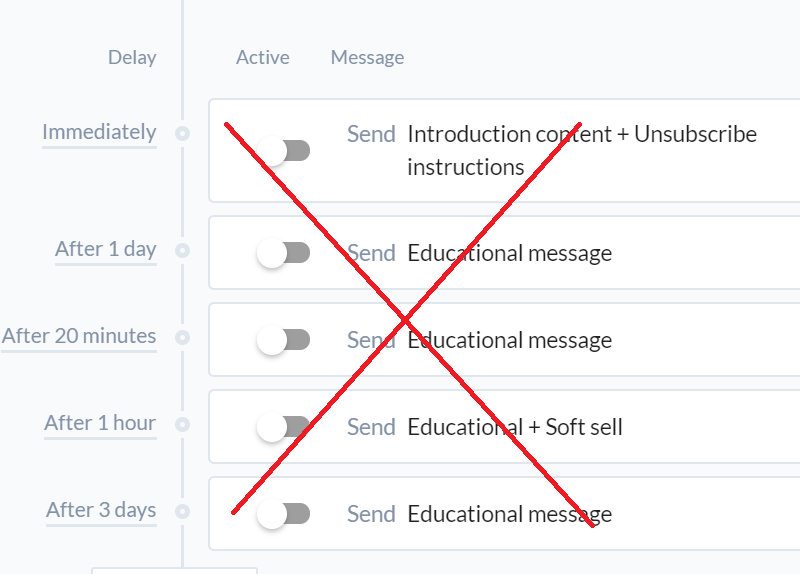 Start with your first message (in my case, it’s “lesson 1 + soft sell”), and choose the first message within lesson 1, and click “Select This Message”. Here’s a quick tutorial on how to do it! See that literally took only 10 seconds. Now all you have to do is to repeat the same process for the remaining of the sequence which is much faster than copy and pasting everything into a new sequence. Most people would forget about this, and that includes me (yes I confess…). We often want to control when to send out those messages to our subscribers, and that’s configured in “Settings”. So make sure you do that for your duplicated sequence. Here you go. 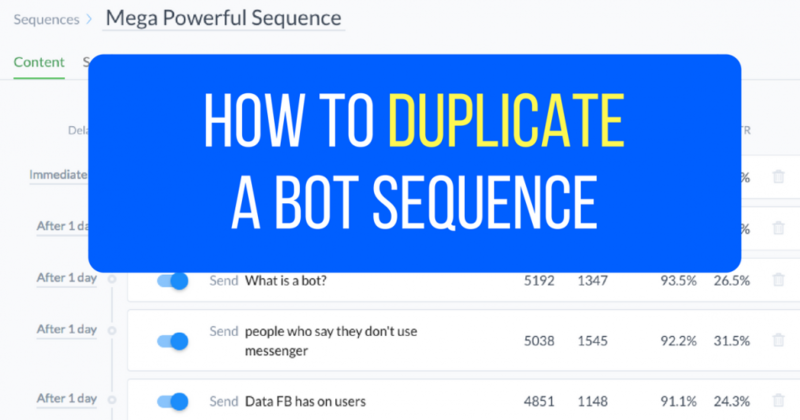 That’s the 3 steps to duplicate your sequence within just a minute! Happy split testing, and create more engagement contents so people fall in love with your bots! This post was written by our student, Benjamin Pang, who teaches home business owners how to make more sales and recruit more reps with online marketing strategies. Check out his chatbot by messaging his Facebook page.